Of R-134a and 3 oz. of additives. Trending at $42.79eBay determines this price through a machine learned model of the product's sale prices within the last 90 days. Available in multiple quantities. 60 Day Returns. STANADYNE DIESEL FUEL ADDITIVES ARE CONSIDERED A HAZARDOUS MATERIAL. all-season, multi-function Diesel fuel additive. 24 - 8 ounce Bottles (1/2 Pint) = One Case. Each case of 24 bottles treat 720 gallons of diesel fuel. Genuine BMW Blue Color Antifreeze. You're purchasing a case of 6 quarts of Toyota T-IV automatic transmission. (We have the the latest product from Stanadyne! STANADYNE DIESEL FUEL ADDITIVES ARE CONSIDERED A HAZARDOUS MATERIAL. all-season, multi-function Diesel fuel additive. 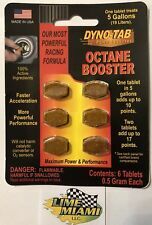 1) New Formula Increases Engine Performance. FRESH MOTORCRAFT XL-2, NEW 8 OZ. ANTI-SIEZE LUBRICANT. It gives your fuel system what it really needs - a blend of super slick oils and additives with a high detergent action that allows the engine to operate at maximum efficiency. Also, it cleans and lubricates the carburetor and injectors and causes the fuel to burn more thoroughly for increased power and less fuel consumption. Oil change intervals are every 3,000-5,000 miles with Toyota vehicles with this low-friction, 5W-30 engines. It takes a lot of energy to pump oil to the proper pressure-- and of course the heaver the viscosity, the more energy is required. BEST PRICE ON EBAY FASTEST SHIPPING. ACDelco Dexron VI Full Synthetic 10-9243 Automatic Transmission Fluid 12 Quarts. New ACDelco 10-9243 Dexron VI Full Synthetic Automatic Transmission Fluid 12 Quarts. ACDelco DEXRON-VI Automatic Transmission Fluid is the most recent release in the well-established DEXRON series of automotive transmission fluids. 5 out of 5 stars - ACDelco Dexron VI Full Synthetic 10-9243 Automatic Transmission Fluid 12 Quarts. 38 product ratings38 product ratings - ACDelco Dexron VI Full Synthetic 10-9243 Automatic Transmission Fluid 12 Quarts. 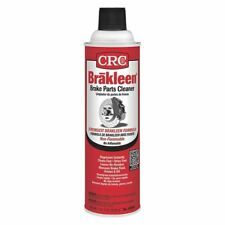 Non-flammable, non-corrosive, and non-toxic, this sealant utilizes Fibro-Seal technology that seals instantly and repeatedly. For use in all tubeless tires, including cars, trucks, tractors, and ATVs, this sealant is compatible with Tire Pressure Monitoring Systems. GENUINE HONDA OEM CVT HCF TRANSMISSION FLUID. Trending at $45.99eBay determines this price through a machine learned model of the product's sale prices within the last 90 days. Liqui Moly Leichtlauf High Tech - 5W-40 Synthetic (5 Liter). Interdynamics (AF-22) Arctic Freeze R-134a Ultra Synthetic Refrigerant 22oz. GIANT SIZE! View all Refrigerants for Sale! Interested in more refrigerants?. Bulk Ordering available! Colder air 50 percent faster. This premium synthetic formulation provides enhanced anti-wear protection and lasts longer in service. 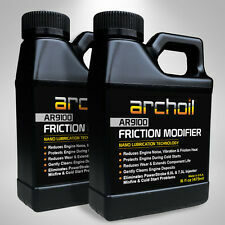 Replaces MTF-94 fluid for Land Rover, MG, and Mini Cooper. 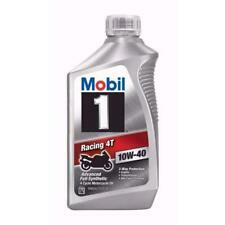 Replaces Honda Genuine MTF fluid for manual transaxles and Texaco MTX fluid. (4) LM2007 300ml Jectron Fuel Injection System Cleaner. CC2610 1 gallon. Don't hesitate to ask! Alkaline-Based Cleaner. They are also approved by Cummins® as the preferred product for cleaning oil contaminated cooling systems under warranty maintenance. 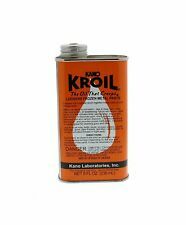 Most Effective Cooling System Oil/Fuel Contamination-Cleaning Agent on Market. Which type of motor oil is best for your ride? The answer may be closer than you think. Every car has fluids that need changing, but what do you need to change and when? Let’s pop the hood and take a look at what fluids need replacing and how frequently you should be doing it. Your automobile has moving components, and those moving parts create friction. Automotive fluids and automotive chemicals are designed to reduce that friction to increase the proficiency and life of your car parts as the liquids flow through the engine. The way the combustible engine was created, it also gets really hot and needs additional automotive chemicals like antifreeze to keep the engine from overheating. What kind of fluids does a car need? Your car needs seven main fluids to continue running in good condition. The automotive chemicals that make up each of these fluids may be dependent on your vehicle's make and model. Oil acts as a lubricant to keep the moving pieces in the engine stay in motion. As the oil flows through the engine, the parts are coated, allowing them to slide freely as they move. Radiator fluids, such as antifreeze and water, are used to keep the engine from overheating as well as for preventing the fluids from freezing in the winter. Much like oil, transmission fluid is the lubricant coating internal transmission components to keep them operating as intended. Power-steering fluid is used to keep the power-steering unit lubricated and allows you to smoothly navigate your vehicle. Brake fluid is a pressurized hydraulic fluid that is necessary to transfer the force created by pressing the brake pedal into actually slowing down or stopping the car. Washer fluid is used to spray the windshield to keep it clean so that you can see where you are going. Air-conditioning coolant, also called refrigerant or Freon, is the liquid that flows through your coolant system to create the cold air you value so much during hot weather. Which fluids need to be changed in a car? While keeping your lubricants and liquids topped off is a good idea, eventually, the chemicals and cleaners in them wear down and need to be replaced. Among the fluids that need to be changed are the oil, engine coolant, transmission, power-steering, and brake fluids. The differential and transfer case lubricants may also need to be replaced. What does oil weight mean? 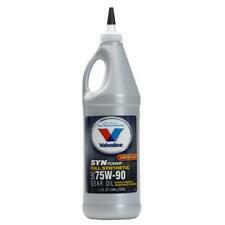 Your car oil comes with a viscosity rating, such as 10W-40. The first number specifies how well the oil will perform at winter temperatures. The lower the 'W' number, the better the oil will flow at lower temperatures. The second number specifies the viscosity at 100 degrees Celsius. To determine what weight of oil is best for your automobile, consult your owner's manual. Additives are chemicals that are added to the oil, gas, or other liquids that flow through your motor. The chemicals are usually purported to improve performance, inhibit rust, or act as detergents or dispersants to keep the car motor clean.